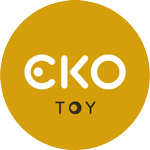 Besides being eco-friendly and sustainable, many of the toys and interior design objects at ekotoy.com are proud holders of an ecological, social, educational or quality certification, that makes them extra special. These special features are listed in each product’s description and here you can read more about such awards and certifications. Click/press the logos below to read more about each certification and get a sample of the products that carry that certification. In order to CE mark a toy, the product has to meet the relevant strict industry safety standards. EU legislation aims to ensure that toys meet safety requirements that are amongst the strictest in the world, especially in relation to the use of chemicals or harmful materials in toys. Safety is a priority concern with the products we select. We only choose toys that comply and often exceed the essential requirements of the European Toy Safety Directive, as well as other international toy safety standards. This is the manufacturer’s declaration that a toy satisfies the essential safety, hygiene and environmental protection requirements and that such toy is entitled to move freely throughout the European Union & EFTA member states. 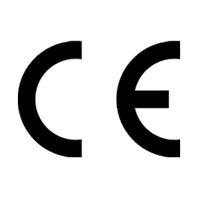 The CE Marking has often been described as the “products’ trade passport to Europe”. The EU Toy Safety Directive (2009/48/EC or EN 71) defines what constitutes a toy, outline technical documentation requirements, establish production control and more. Its safety regulations include several criteria and parameters, such as mechanical and physical properties and flammability, among others. One of the most relevant is the chemical requirements, which include restrictions on the use of carcinogenic, mutagenic and/or toxic to reproduction (CMR). All toys in the EU must carry the CE marking! 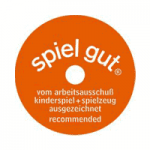 Spiel Gut was created in 1954 by educationalists, psychologists, doctors, parents, technicians, experts in design, chemistry, electronics, etc., to examine and assess toys. “Spiel Gut” marking signifies that this toy has been tested with children and examined by experts with a positive result. Their criteria includes: play value, material, workmanship, construction, durability, safety, design, size, quantity, quality of the instructions for playing or making, suitability for the appropriate age group. Each year Spiel Gut announces the awards for best toys according to these criteria. See below some of the toys that received the Spiel Gut recommendation. Spielwarenmesse® is a specialised trade fair where international toy markets come together: renowned brands, toy innovations, licensed products, trendy start-ups, large chains, independent retailers and media representatives make the Nurember toy fair in Germany on of the most important events for the toy industry. 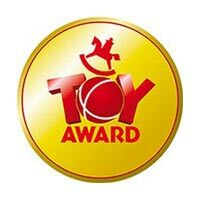 The ToyAward, an internationally recognized prize of the Spielwarenmesse, is presented annually by an expert jury, based on the following criteria: Play fun. Originality. Safety. Workmanship & quality. Comprehensibility of product concept. Prospects of success in the shop. 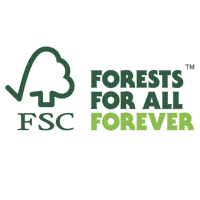 The Forest Stewardship Council (FSC) is an international non-profit organisation that works to promote the practice of sustainable forestry and certifies forests worldwide to ensure they meet the highest environmental and social standards. FSC enables businesses and consumers to make informed choices about the forest products they buy, and create positive change by engaging the power of market dynamics. Products like FSC paper and wood have been sourced in an environmentally-friendly, socially responsible and economically viable manner. The Programme for the Endorsement of Forest Certification (PEFC) works throughout the entire forest supply chain to promote good practices in the forest and to ensure that timber and non-timber forest products are produced with respect for the highest ecological, social and ethical standards. Thanks to its eco-label, customers and consumers are able to identify products from sustainably managed forests. 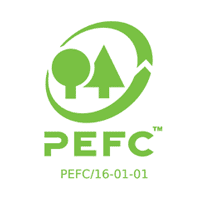 PEFC is an umbrella organization that works at an international level by endorsing national forest certification systems developed through multi-stakeholder processes and tailored to local priorities and conditions. 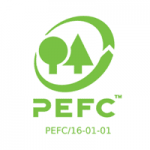 PEFC is represented in more than 40 countries through national organizations and membership is open to national forest certification systems as well as International Stakeholder Members. Each national forest certification system undergoes rigorous third-party assessment against PEFC’s unique Sustainability Benchmarks to ensure consistency with international requirements. With 38 endorsed national certification systems and more than 300 million hectares of certified forests, PEFC is the world’s largest forest certification system. 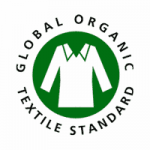 The Global Organic Textile Standard (GOTS) is recognised as the world’s leading processing standard for textiles made from organic fibres. It defines high-level environmental criteria along the entire organic textiles supply chain and requires compliance with social criteria as well. Only textile products that contain a minimum of 70% organic fibres can become GOTS certified. All chemical inputs such as dyestuffs and auxiliaries used must meet certain environmental and toxicological criteria. A functional waste water treatment plant is mandatory for any wet-processing unit involved and all processors must comply with minimum social criteria. On-site inspection and certification of processors, manufacturers and traders performed by independent specially accredited bodies is the basis of the GOTS monitoring system in order to provide a credible assurance for the integrity of GOTS certified textiles. The International Association for Research and Testing in the Field of Textile Ecology (OEKO-TEX®) is a union of 16 independent textile research and test institutes in Europe and Japan, and their worldwide representative offices. 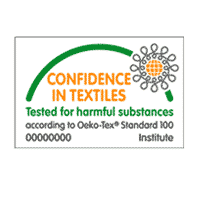 The OEKO-TEX® Standard 100 is an independent testing and certification system for textile raw materials, intermediate and end products at all stages of production, such as raw and dyed finished yarns, raw and dyed finished fabrics and knits, all types of clothing, domestic and household textiles, bed linen, terry cloth items, textile toys and more. Among others, textile products are tested for formaldehyde, pesticides, extractable heavy metals, organochloride carriers as well as preservatives such as tetra and pentachlorophenol. The textiles are also checked for (legally banned) carcinogenic MAK amines from special azo dyes as well as for dyestuffs that have scientifically proven allergenic potential. Furthermore, all tested items must have a skin-friendly pH value and good colour fastness. The requirement for certification of textile products according to OEKO-TEX® Standard 100 is that all components of an item have to comply with the required criteria without exception – that means in addition to the outer material also sewing threads, linings and prints, as well as non-textile accessories such as buttons, zippers, etc. The functioning of the EU Ecolabel is set through a Regulation of the European Parliament and of the Council. 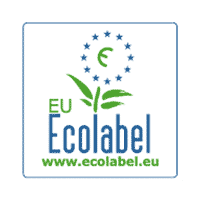 The EU Ecolabel is a voluntary scheme for producers, importers and retailers. When developing EU Ecolabel criteria for products, the focus is on the stages where the product has the highest environmental impact, and this differs from product to product. In addition, product-specific criteria ensure that any product bearing the EU Ecolabel is of good quality with high performance. 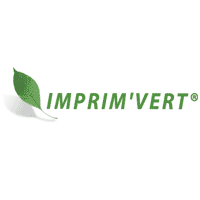 Imprim’Vert aims to promote the implementation of concrete actions by companies engaged in the printing business, leading to a decrease of the impacts of the activity on the environment. Since its creation in France in 1998, the brand has gradually spread and now provides national and international management. 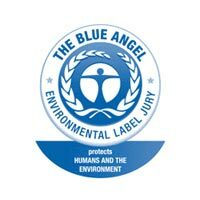 The Blue Angel (Der Blaue Engel) is an independent, German environmental label for products and services that have environmentally friendly aspects. Its goal is to inform consumers about environmentally friendly products, thus giving global support to product-related environmental protection. The Blue Angel certification has been awarded since 1978, making it the oldest ecolabel in the world, and it covers approximately 12000 products and services, from around 1500 companies in 80 product categories. Red Dot stands for belonging to the best in design and business. Their international design competition, the “Red Dot Design Award”, is aimed at all those who would like to distinguish their business activities through design. The distinction is based on the principle of selection and presentation. Excellent design is selected by competent expert juries in the areas of product design, communication design, and design concepts. 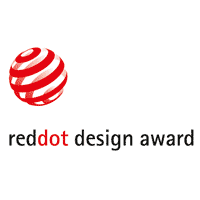 The Red Dot Design Award is an internationally recognised quality label for excellent design. Nevertheless, it represents more than just a design competition: as design promoters they spread the idea of design internationally; highlight the importance of design for business and society, and present the latest developments in design. 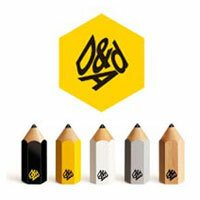 D&AD exists to stimulate, enable and award creative excellence in design and advertising. The D&AD Professional Awards are recognised globally and are entered and attended to by the best around the world. Members join a vibrant global community, whilst creatives and clients are inspired by a world-class Training programme. D&AD’s is a non-profit advertising association, and all surpluses go into programmes such as New Blood, inspiring the next generation of creative talent and stimulating the creative industry to work towards a fairer more sustainable future. D&AD is a Member-run organisation, led by an elected Board of Trustees that represent the full breadth of the advertising, design and digital industries. As a member-run organisation, the elected board are responsible for the overall direction of D&AD, its programmes and where its money is spent.